Incredibly flexible but strong, The Color Ellite XC series is Majyk's top of the line XC series. Featuring a unique fit which will not inhibit the horse's movement, the outer is constructed from a super strong but lightweight rip-stop material bonded over a breathable mesh. Inside the boot is a four-way flexion strike plate designed to work with a horse’s movement but form a hard wall when faced with impact. ARTi-LAGE dilatant material lines the inside of the strike area for ultimate protection. The proprietary material is soft and pliable in its normal state, but changes its molecular structure to harden when struck, deflecting impact and dispersing the energy. Lined with a non-neoprene bio-foam interior, this foam is super soft but grips the horse’s leg. The lightweight foam has extra large perforations, so heat build-up is prevented and air can circulate. The boot construction is designed to repel water and dust over all kinds of terrain. "Forever Clean" breathable coating on the outer shell, cuts clean up time in half as mud, dirt, and debris slide right off with a quick rinse. Worn by the Olympic USA EVENTING TEAM in 2016. 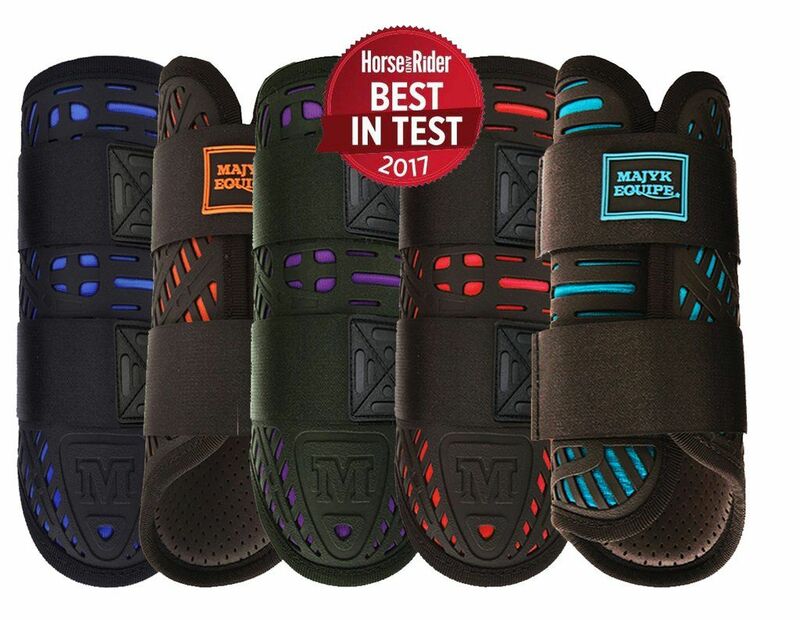 The Color Elite Series offers the best in horse protection in a beautiful array of colors.